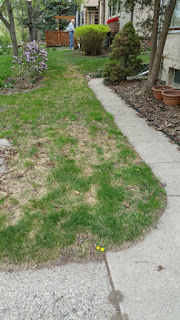 Winter damage to predominantly fescue grass lawn. Tall fescue grass lawns can particularly show the impact, but this low maintenance, drought tolerant and Minnesota-hardy grass is worth a little TLC in the spring and early summer. In this video, Extension Educator and Turfgrass Specialist Sam Bauer walks you through steps you can take to repair any lawn...keeping it green and gorgeous!